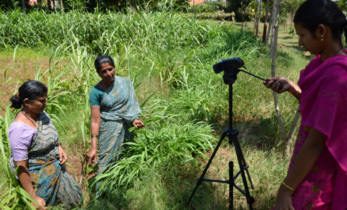 Having successfully released biofortified pearl millet variety, Dhanashakti and the pearl millet hybrid ICMH 1201 (Shakti-1201), in 2014, ICRISAT is gearing to further scale up efforts to address malnutrition due to micronutrient dietary deficiency, particularly iron (Fe) and zinc (Zn). At a recent review meeting some areas were identified for future focus: integrate pearl millet biofortification program at ICRISAT with mainstream breeding; adopt modern tools and techniques for breeding; integrate conventional breeding with genomics; include micronutrients in the cultivar release policy; build partnerships; conduct strategic research on biofortified cultivar development; and develop tools for precise large-scale screening for micronutrients. 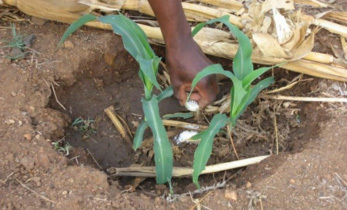 Currently, several pearl millet hybrids, with 75 mg per kg iron density and 25-35% higher grain yield have been developed, and are at various stages of testing in national trials in India. Besides that, two varieties, ICMH 1202 (Nirmal -7) and ICMH 1301 are currently undergoing farm trials and are targeted for commercial release in 2017. 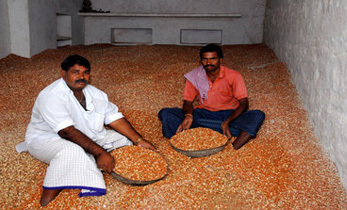 While a strong public-private partnership (PPP) for pearl millet biofortification research in India already exists, with 26 partners (6 from national agricultural research systems [NARS] and 20 private seed companies), the need for inter-sectorial partnership involving agriculture, nutrition, food industry and medical community was raised. Highlighting the spread of ICRISAT’s biofortification research, it was highlighted that a few companies have started using the high iron lines developed at ICRISAT and the All India Coordinated Pearl Millet Improvement Project (AICPMIP) has initiated the first Coordinated Initial Biofortified Hybrid Trial in 2014, with 15 hybrids, of which 9 hybrids are bred at ICRISAT. Dr Wolfgang Pfeiffer, Director-Operations, HarvestPlus, shared the HarvestPlus Phase III progress and the strategic shifts and 2016 plans for different crops. He emphasized on crop development strategy, commercialization through seed companies and branding biofortified products to create market demand as essential and urged partners to scale-up the pipeline for biofortified pearl millet hybrids in target regions for impact. Dr Pfeiffer stated that in biofortification breeding priority will be given to maintenance breeding. Inclusion of biofortification in national and state policy frameworks as integral part of nutrition agenda will enhance the mainstreaming of micronutrients in agri-food systems, he added. Dr SP Wani, Director-Asia Research Program, in his welcome speech, stated that while millets are smart food and climate resilient by nature, the biofortification research at ICRISAT has added more value to this dryland crop to align with ICRISAT priorities to address malnutrition. Dr HP Yadav, Project Coordinator, AICPMIP, gave an overview of pearl millet biofortification at NARS and shared AICPMIP plans for biofortified hybrid trial for which the candidate entries will be identified from 2015 HarvestPlus trials and finalized in the upcoming AICPMIP workshop. 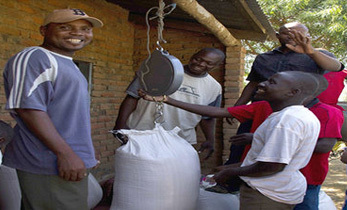 He stressed that development of value added products from biofortified pearl millet cultivars such as ready to cook and multigrain mixtures can be suitable for mid-day meal schemes. Dr M Govindaraj, Principal Investigator-Pearl Millet Biofortification, ICRISAT, highlighted that several advanced lines have now been validated for high Fe content. These are being extensively used at ICRISAT to generate next-generation of high Fe breeding lines and can also be used in the partners’ breeding programs. He emphasized the all India performance of new pipeline high-Fe and high-yield hybrid ICMH 1301 and partners’ appreciation of the hybrid’s performance. Dr Parminder Virk, Manager-Crop Development, HarvestPlus-CIAT, discussed the importance of setting the target iron level for biofortified products and precautions to avoid dust and soil contamination. Dr Pfeiffer stressed that the new waves of high-iron products and high-iron and high-yielding hybrids are key drivers of success and can attract donor investment in future. In consultation with national partners, Dr Govindaraj finalized the 2016 work plan with 24 multi-location trials including hybrids and hybrid parents at various stages of testing across India. 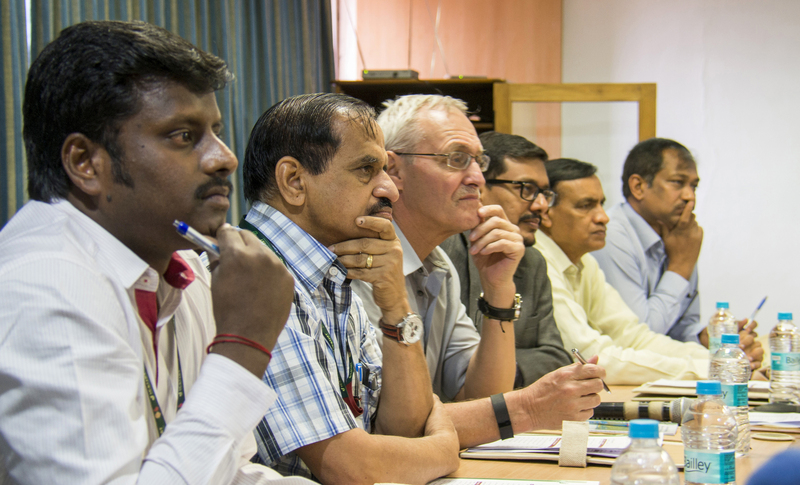 ICRISAT organized the pearl millet biofortification review and planning meeting on 29 February at ICRISAT-India to review the results of biofortification trials 2015 and develop follow-up work plans for 2016 crop season. Thirty researchers from public and private sector organizations partnering in this research and three delegates from HarvestPlus-CIAT participated in this meeting. 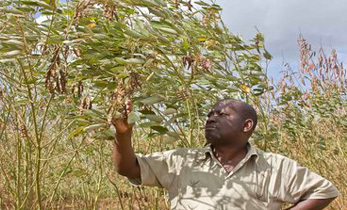 Private: Ajeet seeds Ltd. Bayer ; BioScience Pvt. Ltd.; Bioseed Research India Pvt. Ltd.; DevGen Seeds and Crop Technology Pvt. Ltd. Ganga Kaveri Seeds Pvt. Ltd. Hi-Yield Agri Gnetics Pvt. Ltd. Hytech Seed India Pvt. Ltd. JK Agri Genetics Ltd. Kaveri Seeds Company Pvt. Ltd. Mangalam Seeds Ltd. Metahelix Lifesciences Pvt. Ltd. Nath Bio-Genes India Ltd. Nirmal Seeds Pvt. Ltd. Nu Genes Pvt. Ltd. Nuziveedu Seeds Pvt. 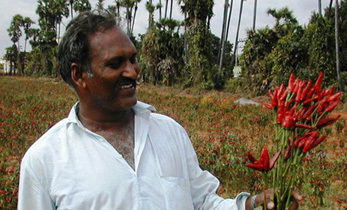 Ltd. Pioneer Overseas Corporation; Shakti Vardhak Hybrid Seeds Pvt Ltd.